List of Illuminati Eye sightings in pop culture. Celebrities, from Nicki Minaj, to Lil Wayne to Rihanna, are accused of filling the airwaves with Illuminati imagery. In music videos, promotional materials, video games, and paparazzi photos, the most famous guys and girls in pop culture are caught repping the All-Seeing Eye. This eye, a singular eyeball in a pyramid-esque shape, is associated with this occult group of Satanists who have sold their souls for success. Turn on the MTV VMAs for Illuminati symbolism, courtesy of Lady Gaga and Miley Cyrus. Scroll through old album covers and find one-eyed Jordin Sparks and Celine Dion confirming their membership in the occult organization. Turn the pages of Parlour magazine and Esquire to see Katy Perry and Nicki Minaj use triangular mannerisms to cover one eye. The Eye of Horus isn't even disguised as the CBS logo, nor is it disguised in scenes from "Grand Theft Auto V." Look close enough, and Illuminati Eyes sightings are all over pop culture. Illuminati symbols in pop culture aren't uncommon, but are sometimes a bit of a stretch, so take these with a grain of salt. In Katy Perry's music video for "Dark Horse" (even in its screenshot frame) we see the All-Seeing Eye peering out in bright blue. As Rihanna sings about how "you can't see shiny stars" in the dark, there is plenty of symbolism about the All-Seeing Eye and rain, which evidently has some Rain Man connection to Illuminati conspiracies. 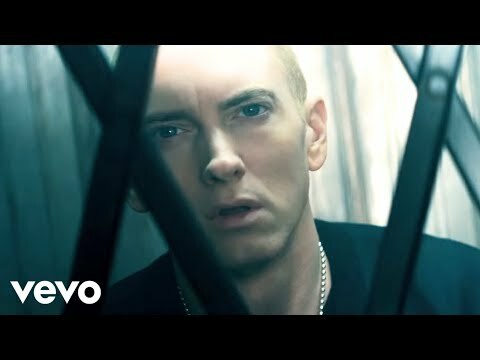 There's a frame of the All-Seeing Eye of Horus as Marshall Mathers raps about his dark past with violence and insanity. In the music video for "Bad Romance," Lady Gaga makes the hand gesture for "eye in the triangle," after a fire and red-dressed dancers appear, supposedly representing her initiation into the Illuminati.